Luxurious chalet with outdoor jacuzzi, free WiFi and four bedrooms, all with en suite bathrooms. 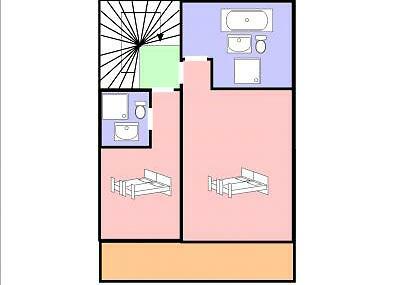 One double room with bunk bed and one twin bedroom as well as the ski room with ski boot dryer are located on the ground floor. 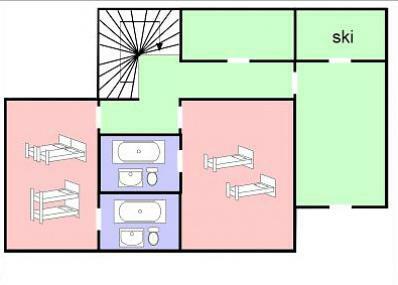 The spacious living-/dining area with open fire place and the well equipped kitchen are located on the first floor. Access to the balcony with stunning view of the Mont Chery. 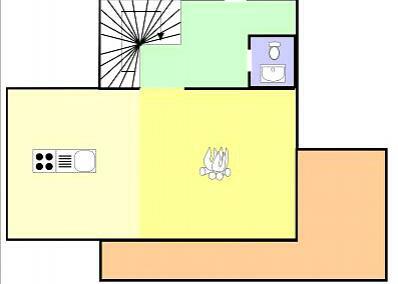 On the second floor are two more double bedrooms. 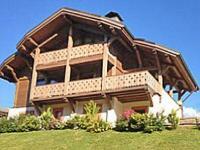 The chalet is situated in the hamlet La Turche, distance to the lively centre of Les Gets approx. 800 m (bus stop in ~50 m). Plenty of restaurants, shops, aprés ski pubs, and the museum for Mechanical Music. Distance to the blue ski slope and to the nearest ski lift approx. 100 m. This is the entry point to the ski area Portes du Soleil. Depending on snow conditions, it is possible to ski from the ski area down to the chalet by diverging from the ski slope (no marked or prepared ski run, use at own risk). Linen, duvet and pillow for a baby cot can be rented for EUR 20. Catering possible (by external partners – service not provided by Alpenchalets). Chalet altitude 1,380 m. 650 km ski slopes, 211 ski lifts and cable cars. Swiss/French ski area Les Portes du Soleil (gate to the sun) up to 2,400 m, with lots of ski slopes for everybody. 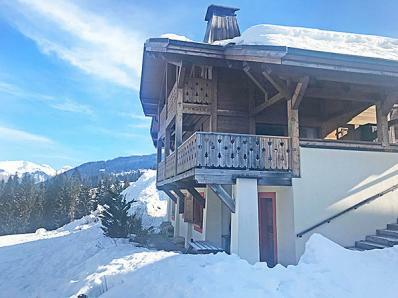 Magnificent, spacious ski area between the Lake of Geneva and Mont Blanc with ski slopes in the tree free alpine areas of Avoriaz, Les Lindarets und Les Crosets/Schwitzerland. The black ski slope Swiss Wall/Chavanette is considered to be one of the world's biggest challenges for excellent skiers. Magnificent deep powder snow runs e.g. to Grand Paradis (tour guide recommended; use at own risk).